‘The term, ‘feel the blood running through my veins’ is often used to describe our emotions: our mood, feelings or anxiety, especially when we are feeling ‘pumped’ and feeling full of energy (highly charged). The effects of this state are often shown in our behaviour (being nervous and agitated); perspiring – sweating (tasting salty); having a brighter complexion (being flushed and looking red in colour); sometimes our decision-making is affected (stronger or weaker responses). If we acknowledge that plants are intelligent, responsive and adaptable, how would they react or be impacted if we shared human blood, our life system with them? 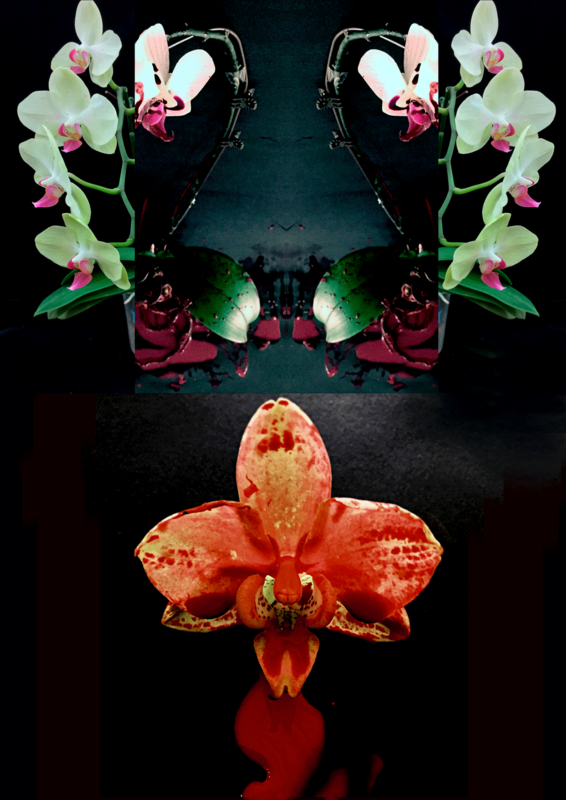 What could we learn from the plants that might show benefits of this ‘Blood Fusion’ and would we gain an insight to the effects on the plants system in terms of its appearance, fragrance, flavour and behaviour’. 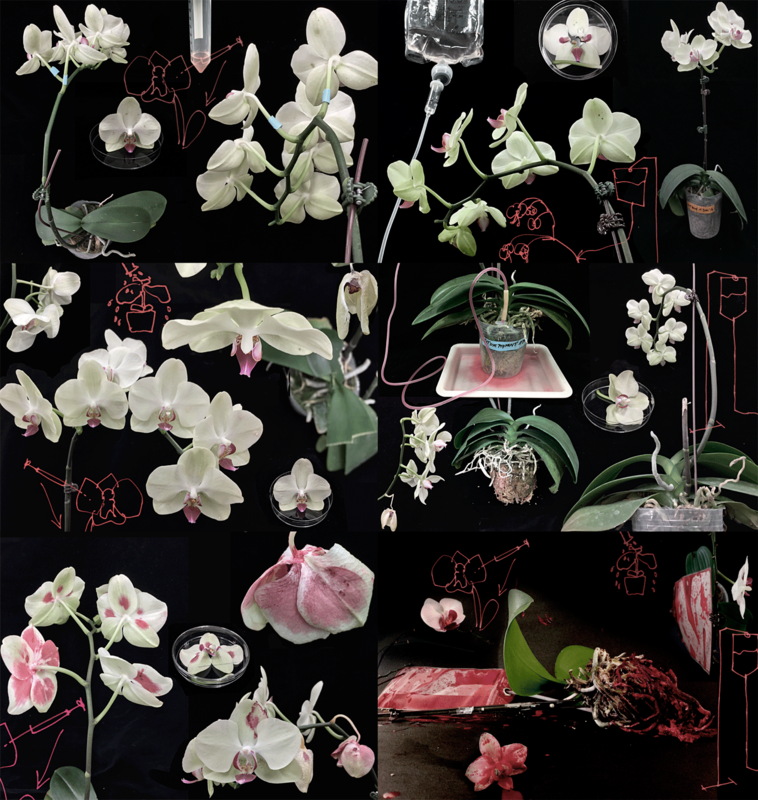 Working in collaboration with the Orchid Research and Development Center (ORDC), Dr Eleanor Gates-Stuart is both artist and scientist, arguably an artist developing her research interests amongst scientists with her sights on scientific enquiry and experimentation with biological material. At ORDC many a scientist could equally claim their artistry within their amazing scientific images and output of visual data, likewise Dr Eleanor Gates-Stuart ventures into the world of science with artworks aligned to her creative inquisitiveness and lust for experimentation. 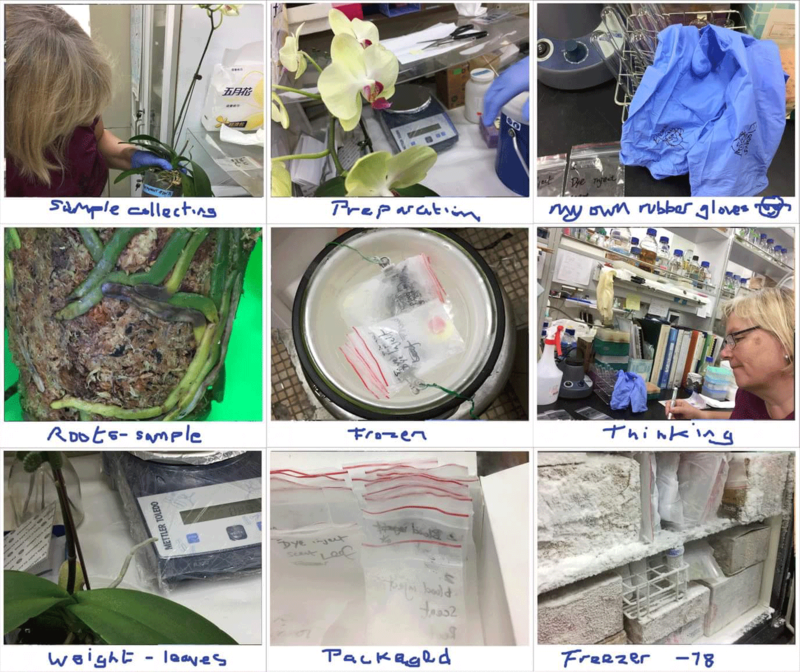 Her collaboration with the ORDC is multifaceted, the opportunity to work interdisciplinary with the Life Sciences Faculty, to advance her own knowledge of the Orchid plants and extend her research through her own StudioLab. Dr Eleanor Gates-Stuart has been conducting her own experiment at ORDC, learning advanced techniques from the scientists, in extending her scientific research and obtaining results that will form a basis for her new works of art and important documentation. Recording the process becomes part of the artwork. It is this dichotomy of communicating scientific fact, as art and explorative media, that is directly related to the science, history and innovation, that is of interest to Dr Gates-Stuart’s research and her ongoing investigation in science and art. 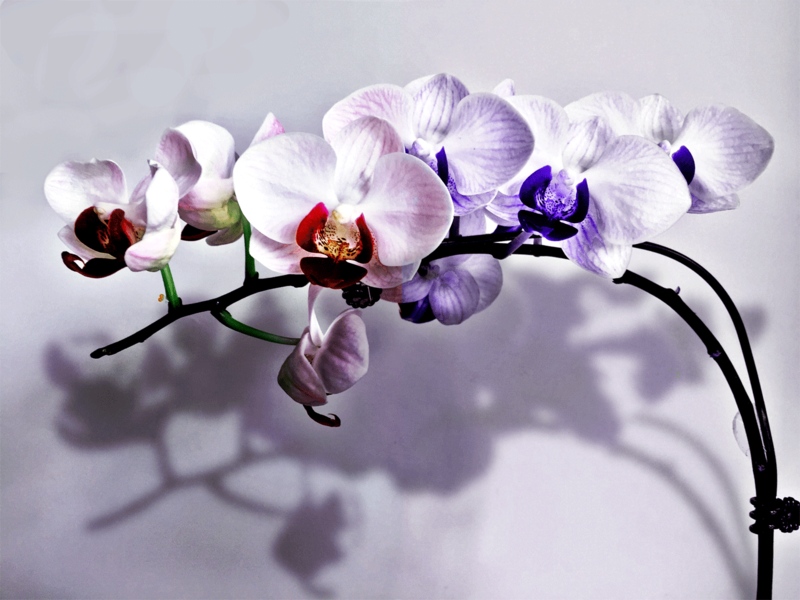 Experimentation: Orchids by Dr Eleanor Gates-Stuart in collaboration with the Orchid Research and Development Center (NCKU), Taiwan.